The No. 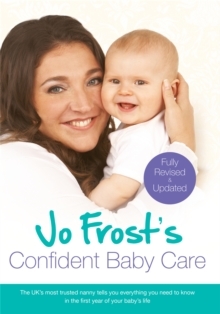 1 bestseller and must-have guide to confident baby and toddler care from the UK's most trusted nanny. 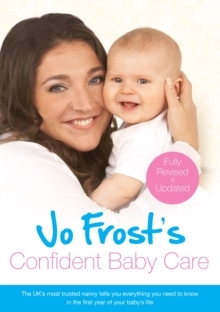 Jo Frost shares her wealth of knowledge and years of experience to help you raise your toddler with confidence and give him or her the best start in life. 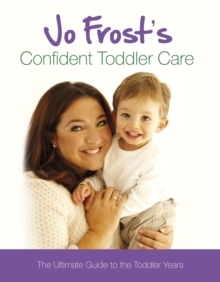 Packed with practical advice, reassurance and simple yet effective techniques to help you deal with all the challenges that raising a toddler involves, Jo will give you the confidence and the know-how to raise a happy and contented toddler. She addresses common battlegrounds, such as mealtimes, dressing, sleeping and potty training, and takes you step-by-step through her tried-and-tested techniques to deal with them simply, patiently and effectively. 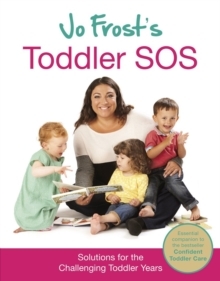 Jo also offers guidance on how to plan your toddler's day hour by hour to ensure he or she is getting the right balance of stimulation and relaxation, offers support and guidance for working and single parents, and shows again and again that far from being an exhausting challenge, the toddler years are the most fun, entertaining and unique years to be cherished and enjoyed.